Four non-government organizations (NGOs) in Luzon will join the “LoveYourself” in its “This is Me: Brave and Free” – a human immunodeficiency virus (HIV) community-based mass testing on 26 May 2018. 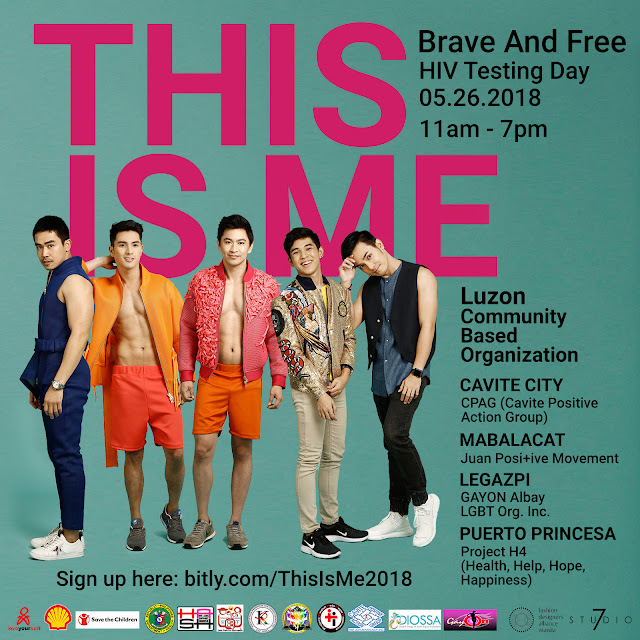 To join the HIV testing day on Saturday (11:00 a.m.-7:00 p.m.), residents from the cities of Mabalacat, Cavite, Puerto Princesa and Legazpi can register through the campaign’s sign-up link at www.bitly.com/ThisIsMe2018. In the northwest part of Manila, Pampanga-based group “Juan Posi+ive Movement Association Inc.,” better known as the JPM in Mabalacat City, is one of the major partners of the LoveYourself. Wayne Baniqued, who founded the JPM in August 2016, said that their group was created because of the “unfortunate experiences” involving the struggles of persons living with HIV (PLHIV). “[The] JPM was established with the inspiration to create a support system that will help reduce stigma and help PLHIVs retain their self-esteem, self-worth and self-efficacy,” Baniqued said. Baniqued said that the HIV testing will be held at their clinic at 104-B Roxas Street, Barangay Lakandula, Mabalacat City, Pampanga. In Cavite City, “the Cavite Positive Action Group (CPAG) of the JCH Advocacy Inc.” will set-up its testing screening hubs at 804 Gonzales St., Barangay 11 Sta. Cruz where they will provide not only free screening, but also lectures on HIV. Founded by Joseph Honra, the president and chief executive officer of the JCH Advocacy Inc., the group aims to raise HIV awareness and “abolish the rampant discrimination and stigma” to PLHIVs. “Grab this opportunity, join us and be part of this tremendous event. Be brave, be a hero, be a friend and be a part of the change,” Honra said as he urged Cavite residents to take part in the campaign. The H4, which stands for HIV in Roman numeral, will be the host for the community-based screening in Puerto Princesa City, Palawan at Amos Tara Community Center located in #41, Abad Santos Street in Barangay Masipag. Peers Yuan, Bob, Jester and June, who created the H4, said that they also provide and promote “Health, Help, Hope and Happiness” among PLHIVs and also those infected with other sexually transmitted infections. “Each of us were created unique, therefore, it is our responsibility to take care of ourselves – regular HIV screening is just one way to take care and value ourselves,” the H4 founders said. 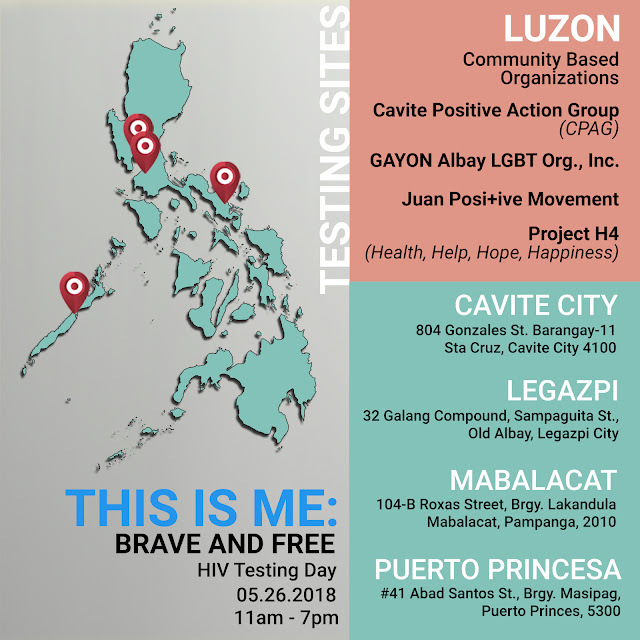 The Bicolanos in Legazpi City can also join “This is Me: Brave and Free” campaign through “GAYon” at 32 Galang Compound, Sampaguita Street, Sagmin, Old Albay, Legazpi City. Created by a group of young peer educators and of volunteers in a relief operations during typhoons in Albay, the Gayon was organized February 2008 and has started working on educating the youths about the HIV and other STIs. Aside from lectures, the Gayon also offers workshops and peer education training, counseling, community-based HIV screenings, among other roles in their community especially reaching those from the far-flung areas. 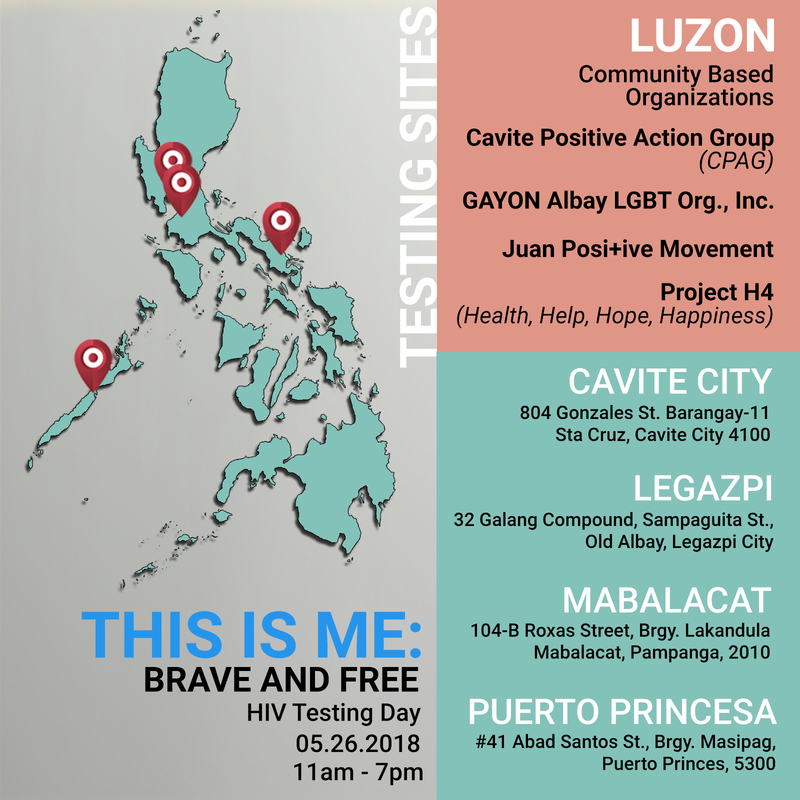 The LoveYourself has organized “This is Me: Brave and Free” HIV mass testing in bid to raise public awareness and action on it, as records showed that persons diagnosed with HIV reached 912 in March 2018 alone. It can be noted that regions III, IV and V have increasing HIV cases following the numbers of the National Capital Region (NCR) incurring 294 cases or 32 percent of the total new cases. The first-ever community-led multi-site HIV testing day is also supported by the DOH through the Research Institute for Tropical Medicine and its NCR-Office, Pilipinas Shell Foundation, Inc., Save the Children, AIDS Healthcare Foundation (AHF) Philippines, Philippine NGO Council on Population Health and Welfare, Inc. (PNGOC), AusAID Australian Aid Program and HIVOS Humanist Institute for Development Cooperation. For more details on the “This Is Me: Brave and Free,” please visit the www.bitly.com/ThisIsMeInfo.